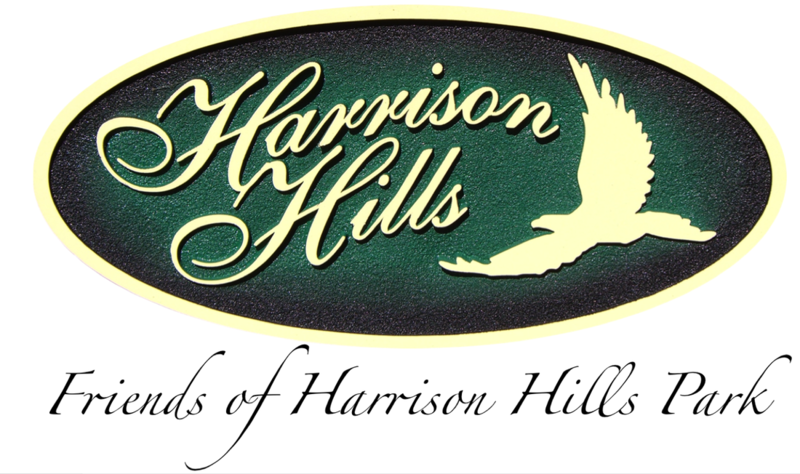 In 2005, 38 bluebird boxes were installed at Harrison Hills Park as an Eagle Scout project. In 2006 it was reported that 90 bluebirds fledged from these boxes. Ten years later, in 2015, the Friends of Harrison Hills Park thought it would be a fun project to see if the birds were still using the boxes. A group of 10 volunteers took on the project to monitor the 36 bluebird boxes that were still there from the original 38. The group named themselves the Cavity Nesting Team, since they were recording information about any cavity nesting bird which used the boxes, not just the bluebirds. It was truly a group effort! To begin the project, the boxes were cleaned and labeled; an on-line report form was created to enter the data electronically each week; and a map of the box locations was drawn up. Throughout the project, the parks department kept the grass mowed and replacement boxes were obtained from the Game Commission. The bluebird boxes were monitored once per week from April 2015 through August 2015. Each box was carefully opened and a mirror was used to look inside. The type of nest, the number of eggs, and the number of hatchlings was recorded. Also anything unusual was reported. After the eggs hatched and the birds fledged, the nest was removed from the box and disposed. Bluebirds nested in 13 boxes and laid a total of 65 eggs. Of the 65 eggs, 48 bluebirds fledged for a 74% survival rate. Two surprises - an adult bluebird was found dead on the nest in one of the boxes and a black rat snake was found curled up in another and had eaten the eggs. Tree swallows nested in 9 boxes and laid a total of 31 eggs. Of the 31 eggs, 22 tree swallows fledged for a 71% survival rate. Bluebirds and tree swallows shared three of the boxes during the nesting season. Two boxes had bluebird nests in April/May and tree swallow nests in June and one box had a tree swallow nest in June and a bluebird nest in August. The team will be monitoring the boxes during the 2016 nesting season. Check back for more!